Tesla Inc. has notified holders of bonds due in March that if they elect to convert the debt, they’ll be paid with a 50-50 mix of cash and stock, according to a copy of the settlement notice seen by Bloomberg News. The notice, dated Nov. 30, relates to the US$920 million convertible bond due at the beginning of March. The equity-conversion price is US$359.88 per share, a level Tesla’s stock closed above on Thursday for the first time since Aug. 8. The decision to use both cash and equity to pay off the debt may be a show of confidence by the Elon Musk-led company that it’s going to be sustainably profitable going forward. The electric-car maker reported US$881 million in positive free cash flow for the third quarter, a major turnabout following the costly and tumultuous period in which it was starting Model 3 sedan production. Tesla posted its largest ever profit in the third quarter and appears to have put much of the drama of the Model 3 production ramp behind it. In the three months ended Sept. 30, the company reported having about US$3 billion in cash, more than sufficient to cover the planned US$460 million to settle half of the bond principal. The electric-car maker is expected to generate US$360 million in free cash flow in the fourth quarter and about US$110 million in the first three months of 2019, according to analysts’ estimates compiled by Bloomberg. 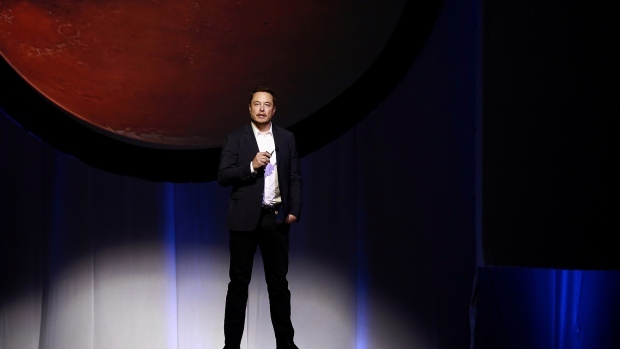 Profitability is an achievable feat for the company going forward, Musk said on an Oct. 24 earnings call, though cautioning that the first quarter of 2019 could be an exception due to the large bond maturity. “The current operating plan is to pay off our debts and not to refinance them, but to pay them off and reduce the debt load and overall leverage of the company,” Musk said on the call. There’s still about three months until the bond matures, and Tesla’s stock is no stranger to swinging up or down US$20 in a day. It’s possible that the shares fall below the conversion price by the maturity date, in which case Tesla would have to pay the full US$920 million of principal in cash to bondholders. In the meantime, Tesla’s stock has gained 45 per cent since Oct. 8, and there are a few more positive catalysts brewing. Tesla is plowing full steam ahead into China, the world’s largest auto market, with plans to start production there in the second half of next year. Also, customers in Europe can now configure the Model 3 cars they already reserved, Tesla said in a tweet Thursday.